The course fee is INR 81,600 for average students and INR 34,000 for scholarships students. Pragathi scholarship and various other scholarships are available. A minimum of fifty students get scholarship each year. If loans are needed, students can approach State Bank of India (SBI). IT companies and companies like Tech Mahindra come for placements with packages of INR 3,80,000 per annum. The Alumni network is really good. They are good but there are some unions which will cause some disturbances there are some college festivals like anniversaries and fests etc. There is less infrastructure because lack of water facility as this is in Krishna district there we find a lot of water problem. College things are from 9:00 am to 4:00 pm and there are no extra classes on Sundays and other holidays like public holidays. Per year fees for the course INR 81,600 rupees from each student including fee reimbursement. For joining in this college we have to get rank in EAMCET examination after completion of intermediate. 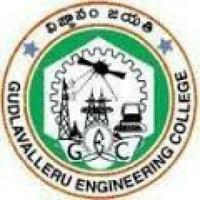 The eligibility criteria for joining mechanical engineering in the Gudlavalleru Engineering College is firstly complete MPC in inter Then, we have to write EAMCET Entrance exam.so we have to qualify the exam with good ranks then we have to opt the college in which we want to study. There are total 4 hostels. 3 for girls, in these 3, 2 are for first years and 1 is for all other girl students Boys hostel is very small. Food in the hostel is very poor. There are many groups and societies to encourage the students. GEC fest is our main fest it occurs on Feb month cultural activities will be there in the college. There is hostel facility for ladies like M.tech, MBA in our college. Food is good in our college. we don't need to go outside for mess. My course fee is 46000. The only scholarship I got from the government is that fees reimbursement. On an average every year 4000 people are applying for the scholarship. NSS, music's club, coding clubs, no association's GEC fest, branch fest, anniversary day and January 26, August 15 College is very nice. Only girls hostel and no boys hostel and hostel fee are INR 50000. Food is good and no cost Classroom, labs, libraries, dining hall, wifi and other infrastructure are very nice. Classes are from 9 am - 4 pm. 2 internals and one external and no assignments are given. Quality is good and method of teaching is excellent. The course fee is INR 5 lakhs per year. There are scholarships available. No internship and no stipend. The companies which come for the placements are Infosys and CTS. Intermediate and 60% marks on the entrance exam. AP EAMCET is the exam for the qualification. Students must qualify and clear the EAMCET exam to get admitted. Gec FEST is the main festival in our college. Life in college, in general, is good. I don't know about the hostels. Food in our college is below average and it cost's INR 35 per meal. Classrooms and labs qualities are mind-blowing. My daily routine is excellent. In our college the quality of teaching is good. My overall experience is good. The fee is INR 84,000 per annum. The scholarship of INR 35,000 from the government is available. I haven’t done any internship yet. TCS is the major recruiter of our students. The average salary offered was INR 5 lakhs per annum. To get admission in this college, the candidate must clear the AP EAMCET exam and must have passed the 12th from a recognized institute. The cutoff rank must be below 25,000 for OC, 45,000 for BC, 75,000 for ST and 90,000 for ST. The Main fests are GEC which is the prestigious event in my college. They conduct other sports meet as well. My experience in college is very good. Two hostels one for girls and other for boys nearly 3,500 INR is fees per month. Labs and Wifi are excellent. Classrooms are very nice. Infrastructure is very good with a beautiful garden. The Class timings are from 9 am to 3.50 pm. Teaching faculty is very good with a central lecture. Good college with all facilities necessary for students. The course fee per year is INR 81,450. There is no scholarship option in our college. We can opt for the loans in reputed banks. The internship should be done by the students. We have Microsoft innovation centre at our college. I think average salary is INR 1.8lakh per annum, highest will be INR 25 lakhs per annum. Admission procedure is same as normal engineering colleges in Andhra Pradesh. AP EAMCET is the exam for the eligibility. There are no clubs and associations. Main festivals in campus are GEC fest, sports meet etc. GEC life is super. There are 3 hostels and they are good. The hostel fee is INR 9,000 per annum. The mess fee is INR 2,000 per month. PG's are available. Food is good and it costs INR 45 per meal. The quality of classrooms labs libraries and all key infrastructure is good. The class timing is from 9.00 am to 4.40 pm. The quality of teaching is good. The overall experience in college is good. The course fee is INR 81,000 per annum. The scholarship options are poor. No one got the scholarship. The loans are not available. I haven’t done any internship yet.The key companies are TCS, WIPRO etc. The average salary offered was INR 5 lakhs per annum and the highest salary offered was INR 10 lakhs per annum. Around 55% of the students get placed every year. Alumni network is good. To get admission in this college, the candidate must clear the AP EAMCET exam and must have passed the 12th from a recognized institute. The eligibility criteria is having a pass certificate from pre- university board and securing a good rank in the entrance exam AP EAMCET. There are no student associations and the life in college is awesome. The infrastructure of our college is excellent and all the facilities are available. Labs are extraordinary. The maintenance and foods of the canteen are not that good. It was a good experience here in the college. The course fee is around INR 1800/- per year. Nearly 20% of the students get a scholarship. If loans are needed it is easily available. No, my college does not encourage any stipend or any internship programs. There are no key companies but average range companies will be coming to our college for campus placement.